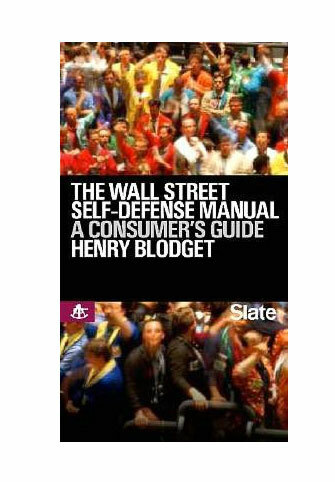 The Wall Street Self-Defense Manual: A Consumer's Guide to Intelligent Investing - IFA Vintage and Current Book Library - Index Fund Advisors, Inc.
A one-time top-ranked stock analyst at Merrill Lynch, Henry Blodget left Wall Street and became, like millions of ordinary Americans, a financial consumer. Confronting the bewildering array of advertising, glossy presentation books, and ever-changing investment advice offered by Wall Street and the financial media, Blodget soon realized that his former expertise was of little help in managing a personal portfolio. So, after combining his own Wall Street experience with some additional research, he formulated some basic rules of the road that can help anyone with a portfolio, a 40IK, or an IRA become a smarter investor. In an age in which pensions are disappearing and ordinary Americans are responsible for their own retirement funds, smart investing is more crucial than ever. Blodget's strategy requires no special training, market insight or mathematical prowess.